Grandi Langhe doubles its figures. 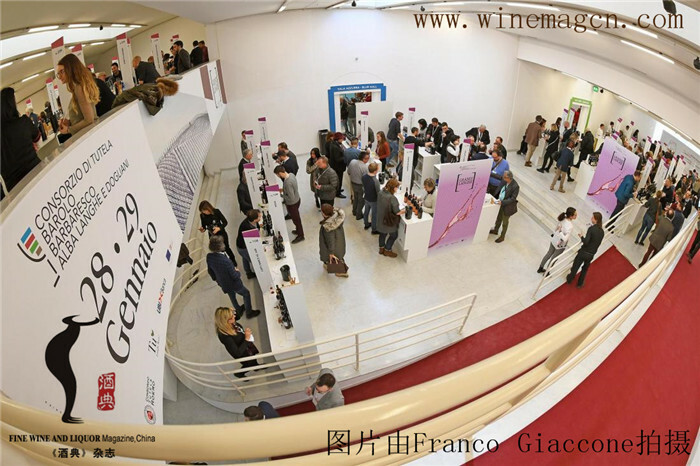 With around 2000 entrances registered – sommeliers, buyers, restaurants owners and press - the last edition of Grandi Langhe – the preview tasting dedicated to the new vintages of Barolo (2015), Barbaresco (2016), Roero (2016) and to Langhe Doc wines – marked a real success for the city, the producers and for attendees, kicking off the period of wine preview tastings. “We are really happy about this Grandi Langhe – said Matteo Ascheri, President of Consorzio di Tutela Barolo Barbaresco Alba Langhe e Dogliani – There have been many new things introduced this year, first of all the decision to move up the event to January: a lucky move! We wanted this fourth edition to be the very first preview tasting of the year. Despite the risks associated with winter weather, we met the needs and agendas of wine professionals – which were the main target of the event. 206 wineries took part to the exhibition at the Palazzo Mostre e Congressi ‘G. Morra’, around 2000 entrances of wine professional registered, 21 young sommeliers from 10 different countries and 6 seminars, appreciated also by an international audience: these are the figures that made Grandi Langhe an unforgettable event. “This edition of Grandi Langhe has been a success and the strong attendance confirmed that we are on the right track – said Andrea Ferrero, Director of Consorzio di Tutela Barolo Barbaresco Alba Langhe e Dogliani – We worked together with Consorzio Turistico Langhe Monferrato Roero to offer participants a brand-new and high-quality edition with the aim of improving even more and establishing Grandi Langhe as a not-to be-missed event for the Italian, as well as international, world of wine.